Shooters armed with assault rifles and some knowledge of electrical utilities have prompted new worries on the vulnerability of California’s vast power grid. A 2013 attack on an electric substation near San Jose that nearly knocked out Silicon Valley’s power supply was initially downplayed as vandalism by Pacific Gas & Electric Co., the facility’s owner. Gunfire from semiautomatic weapons did extensive damage to 17 transformers that sent grid operators scrambling to avoid a blackout. But this week, a former top power regulator offered a far more ominous interpretation: The attack was terrorism, he said, and if circumstances had been just a little different, it could have been disastrous. Jon Wellinghoff, who was chairman of the Federal Energy Regulatory Commission when the shooting took place, said that attack was clearly executed by well-trained individuals seeking to do significant damage to the area, and he fears it was a test run for an even larger assault. Wellinghoff’s warning about the incident at PG&E’s Metcalf substation was reported this week by the Wall Street Journal, expanding on a December report by Foreign Policy magazine. FBI officials said they are taking the shooting very seriously. Months after the shooting, the bureau has named no suspects. Potential terrorism scenarios usually involve elaborate cyberattacks, expertly executed hijackings or smuggled nuclear weapons. But concern grows that California may have come unnervingly close to learning that calamity might just as easily be inflicted by a few well-trained snipers. As law enforcement tries to piece together who fired at the electricity facility, lawmakers and analysts express bewilderment that little is being done to protect against a repeat performance. The classified report was completed in 2007 and became public two years ago. Asked what has happened since then to protect the nation’s electricity system, Morgan replied that very little has been done. The attack on the PG&E facility targeted the sophisticated transformers that are at the backbone of the nation’s electricity grid. The giant pieces of equipment are essential, costly and could take months to replace. Knock out enough of them, experts warn, and an entire region can be crippled for an extended period. They are also typically out in the open like sitting ducks. On that April night, the attackers managed to disable 17 of them just by shooting through a chain-link fence. The bullet holes caused the transformers to leak thousands of gallons of oil, and ultimately overheat. Grid operators scrambled to reroute power from elsewhere to keep the system from collapse. The power stayed on, but just barely, because it happened during a time when demand for electricity was very low. 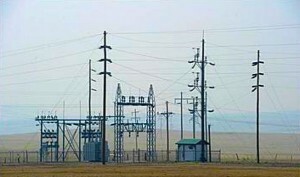 Wellinghoff, now a partner at the San Francisco law office Stoel Rives, said the grid’s interdependence on substations across large swaths of the country — and a scarcity of spare equipment — makes it possible to trigger an enduring blackout across several states simply by destroying key transformers in one of them. Days after the April shooting, Wellinghoff flew out to review the damage with experts from the Pentagon and the FBI. They noticed piles of stones had been set up outside the site, apparently by someone who had scoped it out to guide the snipers. The bullet holes were carefully targeted so as not to hit the parts of the equipment that would cause an explosion and attract the attention of drivers on nearby U.S. 101. Of some 120 shots fired from at least 40 yards outside the fence, 110 of them hit transformers, Wellinghoff said. “A dress rehearsal” is how Mark Johnson, a retired vice president at PG&E, described the event to a Philadelphia gathering of electricity industry officials in November. Johnson said the attackers opened two 75-pound manhole covers and used a ladder to cut fiber-optic lines, a possible attempt to disconnect security cameras. They fired for seven minutes, targeting radiators on the banks of transformers. PG&E officials say they are taking steps to improve grid security and are consulting with government agencies on how best to do so. “This is definitely an unusual event and one we’re taking very seriously,” said Brian Swanson, a company spokesman. He said, though, that the fact that grid operators were able to keep the lights on after the shooting shows the company was prepared, and has procedures and technology in place to protect against sabotage. Congress has been battling for years over proposals that would force utilities to do more. One proposed measure, the Grid Reliability Infrastructure and Defense Act, would have given federal regulators authority to impose specific rules. It sailed through the House but died in the Senate in 2010. Its author, Sen. Edward Markey (D-Mass. ), who was then a congressman, blamed its demise on aggressive lobbying by electricity companies. © Copyright 2014, National Energy Solutions. All Rights Reserved.